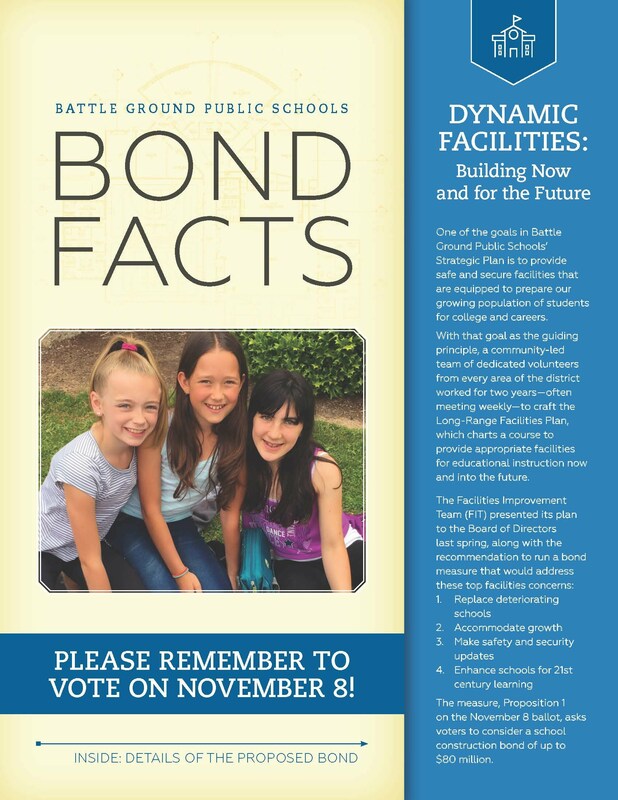 Battle Ground Public Schools will host four Bond Information Nights to provide details and answer questions about Proposition 1, the district's school construction and renovation bond that will be on the November 8 ballot. 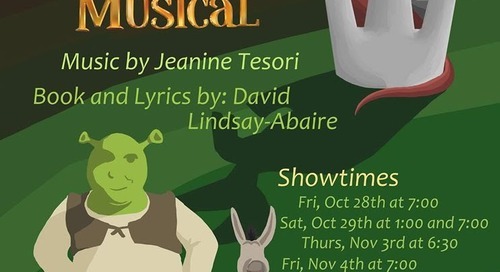 October 11 at Amboy Middle School, 6:00 p.m.
October 13 at Prairie High School, 6:00 p.m.
October 18 at Battle Ground High School, 6 p.m.
October 20 at Glenwood Heights Primary School, 6:00 p.m.
At the events, school district administrators will present information about the bond and then answer questions. More information about the bond initiative and the Bond Information Nights is available at www.battlegroundps.org/bond. In July, after nearly two years of work by a group of volunteers on the district's Facilities Improvement Team to create a Long-Range Facilities Plan, Battle Ground Public Schools' Board of Directors voted 4-0 to put the school construction bond on the November 8 general election ballot. 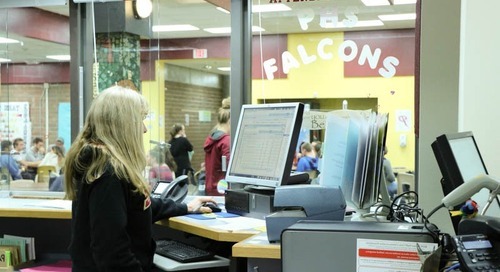 The proposition authorizes the district to issue general obligation bonds of up to $80 million to build four replacement schools and two new schools and replace buildings on other campuses and make other technology, safety, and classroom improvements. The estimated total cost of the projects is $136.5 million. The bond would fund up to $80 million. State construction funding assistance would help fund up to $56.5 million for eligible projects. The projected local tax rate for the bond is 45 cents per $1,000 of current assessed value. At this projected rate, the additional tax would be $11.25 per month for a home with an assessed value of $300,000. This rate is subject to change based on assessed values. The board based the bond resolution on Phase I of the district's Long-Range Facilities Plan, which was developed over the previous 18 months by the community volunteers on the Facilities Improvement Team. The team sought community input during the process through community engagement surveys, and used the input it received from the more than 1,900 survey participants to create the plan. The team created the long-range plan to meet one of the district's strategic goals of providing safe and secure facilities that are equipped to prepare its growing population of students for college and careers. The plan includes three phases over 18 years. Each phase will require local funding through a school construction bond and state funding assistance. The Facilities Improved Team developed the plan to create a stable tax structure for residents, maximize state funding assistance for construction, and address top facility concerns among residents as identified in the Thoughtexchange survey, including facility condition, overcrowding, enrollment growth and student safety.